Free Speech vs. Hate Speech Roseanne's tweet. NFL players kneeling. The President blocking people on Twitter. These stories are all about the same thing: what is free speech? Who gets to decide? And what happens when one person's speech makes another person feel unsafe? 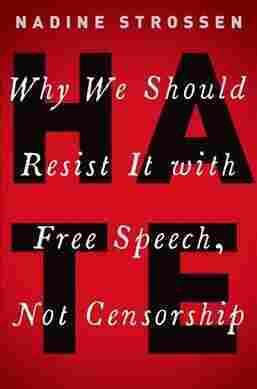 Sam talks to Nadine Strossen, a law professor and former president of the American Civil Liberties Union, about her new book, Hate: Why We Should Resist It With Free Speech, Not Censorship. The President blocking people on Twitter. These stories are all about the same thing: what is free speech? Who gets to decide? And what happens when one person's speech offends another? 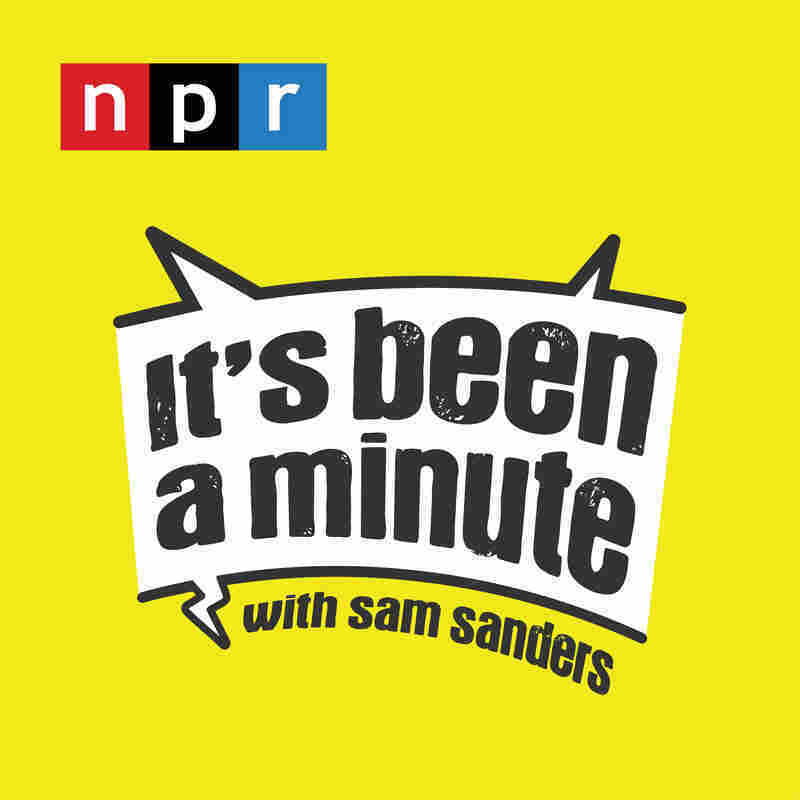 As Sam observes in this episode, those questions are part of a national conversation that sounds very different on the left and on the right. Nadine Strossen's new book attempts to dispel misunderstandings on both sides. It's called Hate: Why We Should Resist It With Free Speech, Not Censorship. Strossen spoke to Sam about several recent news stories with free speech entanglements, and laid out her argument for why the best response to hate speech is more speech. The most effective way to counter the potential negative effects of hate speech — which conveys discriminatory or hateful views on the basis of race, religion, gender, and so forth — is not through censorship, but rather through more speech. And that censorship of hate speech, no matter how well-intended, has been shown around the world and throughout history to do more harm than good in actually promoting equality, dignity, inclusivity, diversity, and societal harmony. You very frequently get public officials and even lawyers saying "hate speech is not free speech." But that is not correct! The Supreme Court never has created a category of speech that is defined by its hateful conduct, labeled it hate speech, and said that that is categorically excluded by the first amendment. Speech cannot be punished just because of its hateful content. But when you get beyond content and look at context, speech with a hateful message may be punished, if in a particular context it directly causes certain specific, imminent, serious harm — such as a genuine threat that means to instill a reasonable fear on the part of the person at whom the threat is targeted that he or she is going be subject to violence. Not only threatened. You can feel emotionally disturbed. You can feel psychic trauma, which can have physiological manifestations. You can feel silenced. These are all real harms that may be suffered by people who are subject to hate speech that is not punishable. [Because] even though we acknowledge those harms, loosening up the constraints on government to allow it to punish speech because of those less tangible, more speculative, more indirect harms — that censorial power will do more harm that good, precisely because the pendulum can swing. Not that shockingly long ago it was left-wing speakers, communists and socialist, who were kept off campuses. And civil rights activists were kept off many campuses, because their ideas were certainly hated, certainly seen as dangerous and insulting. And today, there are serious government officials who are saying that Black Lives Matter is a hate group. Students gather in response to the election of Donald Trump at the University of California Los Angeles on November 10, 2016. 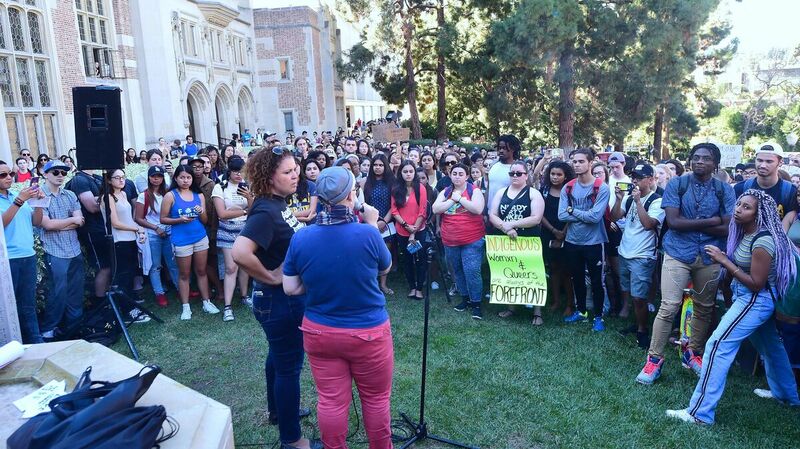 College campuses have become a focal point in the free speech debate. First of all, nobody has a right necessarily to speak on a particular campus. Campuses can set viewpoint-neutral time-, place-, and manner-rules to allocate this scarce resource of the opportunity to speak on campus. Just the way in the city of New York, you can't automatically get a parade permit — it's first-come, first-served. And make no mistake about it, in an ACLU case — I'm proud to say, quite a few years ago — the Supreme Court held that imposing higher security costs on the speaker because the viewpoint is seen to be more controversial and therefore it's more likely to generate protests and therefore security costs — that that is just an indirect way of discriminating against the viewpoint. And you cannot do that. That's always been a misconception. People tend not to look at the underlying principle, but instead they look at whose ox is gored in the underlying case. And the reason that we're attacking specific policies of Trump is that those specific policies violate civil liberties principles. We did the same with Barack Obama, with Bill Clinton. The ACLU will issue criticism or praise on an issue-by-issue basis. Trump, no doubt, as a record number of issues on which he is earning criticism. But I don't think there is a single official about whom we cannot issue at least some praise and some criticism. I think the one that to me was the most vile was the North American Man/Boy Love Association. That to me — they are advocating what I see as a form of child abuse. But I do agree with the Supreme Court that advocacy of illegal conduct, including child abuse, is constitutionally protected. And people may be surprised to hear that. [The Supreme Court] drew a distinction between advocacy of illegal conduct versus intentional incitement of illegal conduct. Because if we say, 'Oh, well, mere advocacy as opposed to intentional incitement will be enough for this speech that's particularly distasteful to me' — well once you make one exception, you can't hold the line. I know that if we loosened the standard for what was deemed to be advocacy that might be dangerous, Black Lives Matter would probably be the first thing that's endangered. So I think you have to look at the abstract principle and just tell yourself: that is what I'm defending. Most people don't know and are somewhat disappointed to find out the first amendment — with its free speech guarantee — only applies to the government. Any private-sector entity, including such a powerful one as the NFL, is not constrained by constitutional free speech guarantees. That said, one can make an argument that they should voluntarily choose to protect such a quintessential patriotic value as freedom of speech.